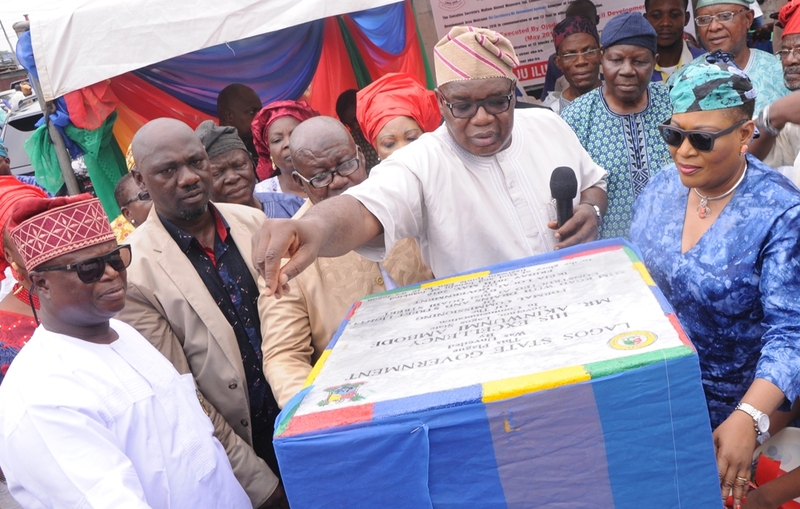 Representative of the Lagos State Governor, Commissioner for Wealth Creation & Employment, Mr. Babatunde Durosinmi-Etti (middle); unveiling plaque to formally commission the Access Road, Ilupeju HOMS, Ikeja Local Government on Friday, May 20, 2016. (L-R) With him are Executive Secretary,Onigbogbo LCDA, Hon. 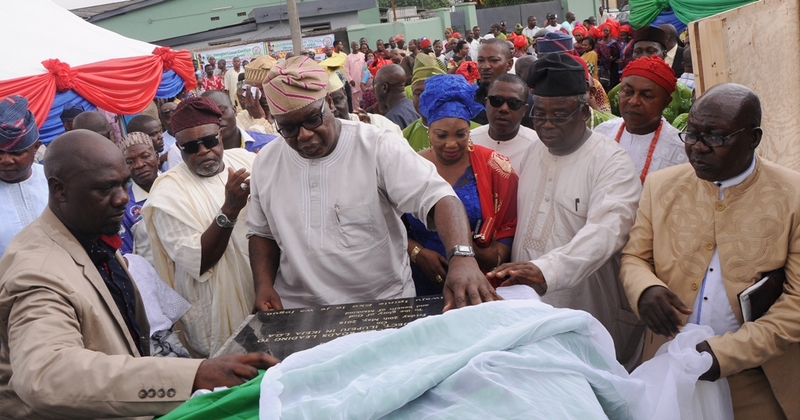 Mustapha Moshood Abiola; his counterpart from Ojodu LCDA, Hon. Ahmed Jaji; APC Chieftain, Alhaji Lanre Razak and Executive Secretary, Ikeja Local Government, Hon. Adekunle Dally-Adeokun. 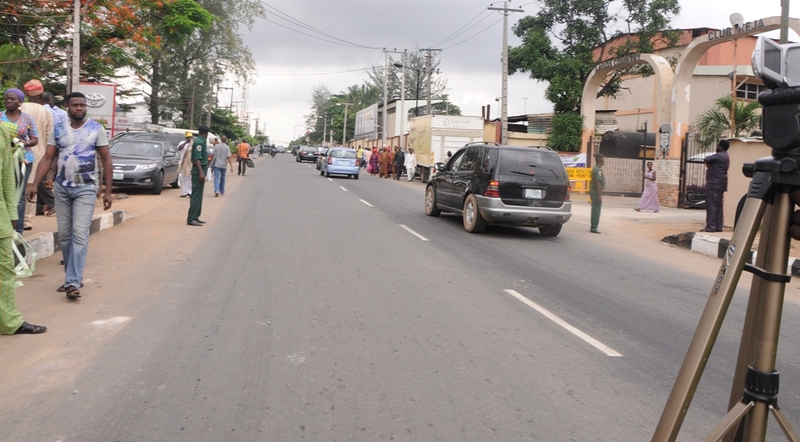 Newly commissioned Access Road, Ilupeju HOMS, Ikeja Local Government by Governor Akinwunmi Ambode, on Friday, May 20, 2016. L-R: Representative of the Lagos State Governor, Commissioner for Wealth Creation & Employment, Mr. Babatunde Durosinmi-Etti (2nd left); Executive Secretary, Ojodu LCDA, Hon. Ahmed Jaji; his counterpart from Ojodu LCDA, Hon. 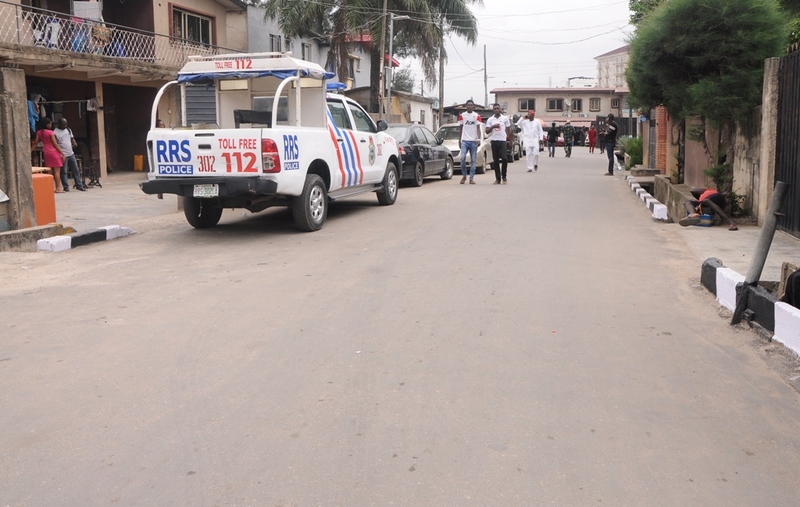 Mustapha Moshood Abiola and Executive Secretary, Ikeja Local Government, Hon. 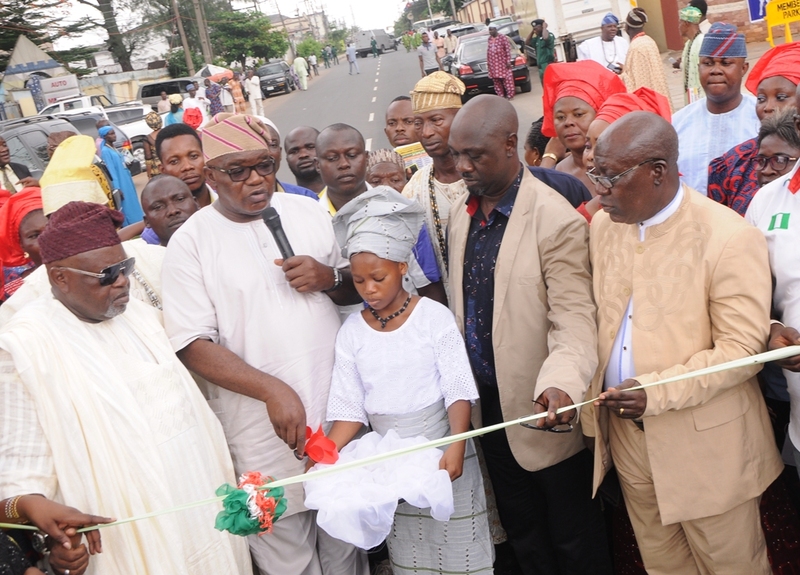 Adekunle Dally-Adeokun during the commissioning of rehabilitated Joel Ogunnaike Street, G.R.A, Ikeja on Friday, May 20, 2016. R-L: Representative of the Lagos State Governor, Commissioner for Wealth Creation & Employment, Mr. Babatunde Durosinmi-Etti (2nd right); Executive Secretary,Onigbogbo LCDA, Hon. Mustapha Moshood Abiola; Executive Secretary, Ikeja Local Government, Hon. Adekunle Dally-Adeokun; Executive Secretary, Ojodu LCDA, Hon. 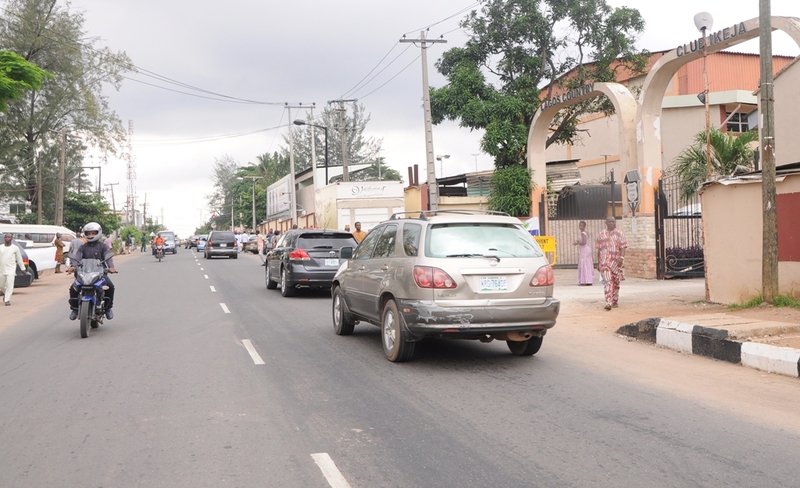 Ahmed Jaji and Head of Admin, Onigbogbo LCDA, Mrs. Bukola Dalumo during the unveiling of the plaque to commission the newly rehabilitated Joel Ogunnaike Street, G.R.A, Ikeja on Friday, May 20, 2016. 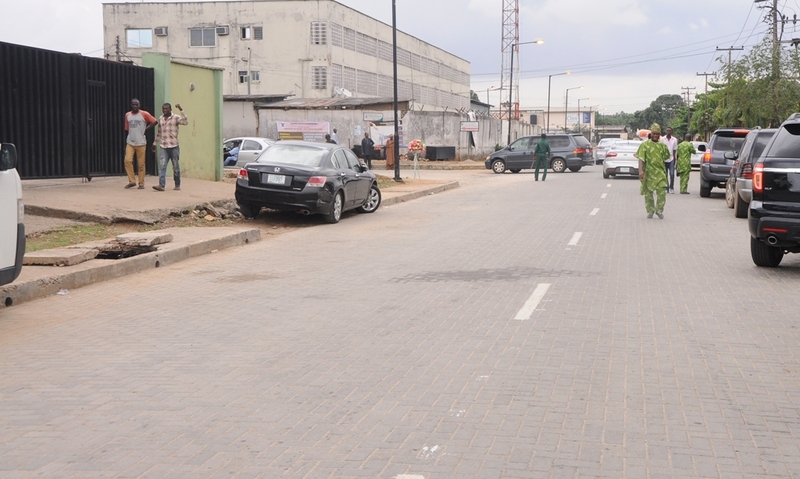 Newly commissioned Joel Ogunnaike Street, G.R.A, Ikeja by Governor Akinwunmi Ambode, on Friday, May 20, 2016. R-L: Representative of the Lagos State Governor, Commissioner for Wealth Creation & Employment, Mr. Babatunde Durosinmi-Etti (2nd right); APC South West Women Leader, Chief (Mrs.) Kemi Nelson; Executive Secretary, Ikeja Local Government, Hon. Adekunle Dally-Adeokun; Executive Secretary,Onigbogbo LCDA, Hon. 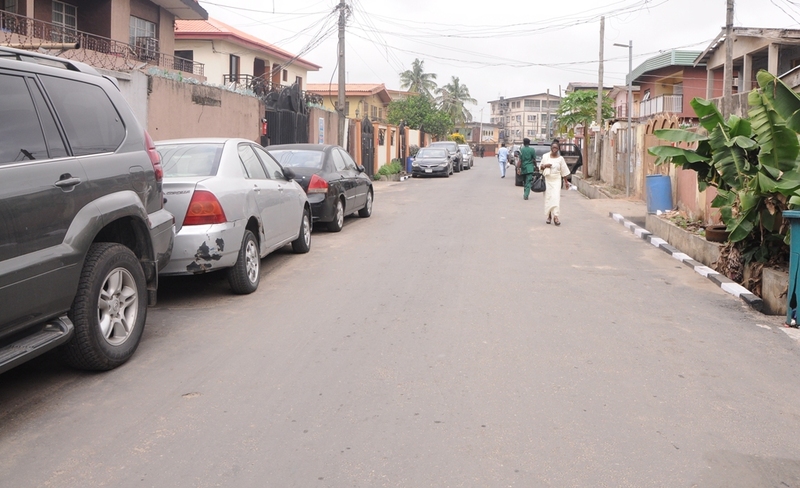 Mustapha Moshood Abiola; Executive Secretary and former Chairman, Ikeja Local Government, Hon. 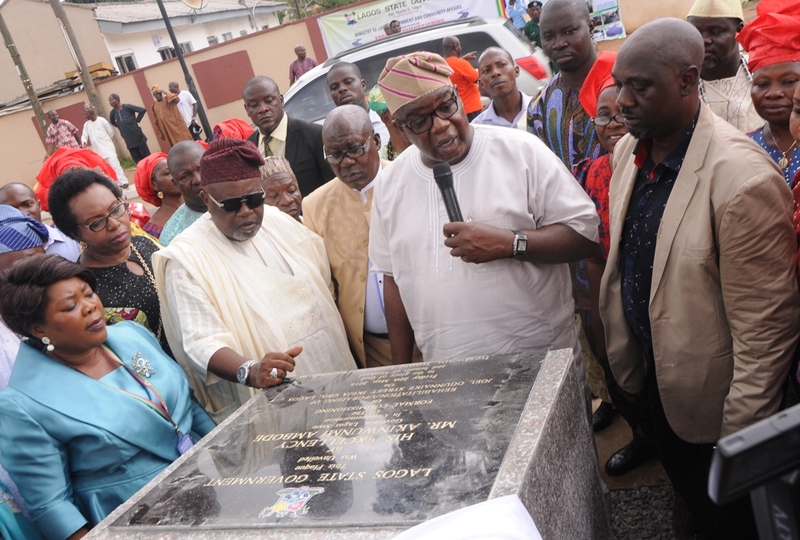 Alani Okikioposu during the unveiling of the plaque to commission the rehabilitated Bisi Ogabi Street, Ikeja on Friday, May 20, 2016. 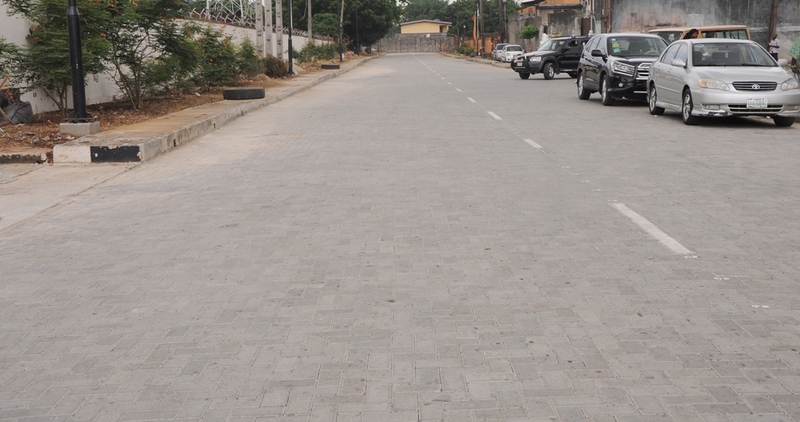 Newly commissioned the rehabilitated Bisi Ogabi Street, Ikeja by Governor Akinwunmi Ambode, on Friday, May 20, 2016.